The primary goal of every education institution is to see students learn, grow, graduate and succeed in the workforce. 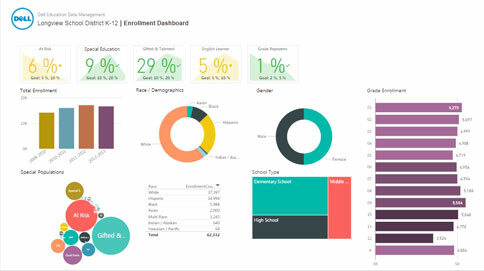 K-12 school districts, colleges and universities have countless data points for students, but vital records are often housed in various formats and across diverse systems, with no way to consolidate them. In this webinar, learn how Dell Services helps educational institutions meet and exceed their goals. We will review the challenges facing K-12 and Hi Ed, and hear directly from a school district that uses data driven analytics to enable better performing education strategies. Go on and register now!